Clinical Lecturer in Speech Path. 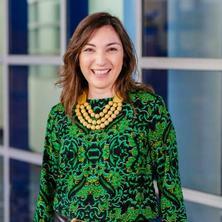 Univeristy Profile: Adriana is a Lecturer in Speech Pathology at The University of Queensland. She is an experienced speech pathologist who has worked clinically in the areas of adult swallowing and communication disorders across the continuum of care and stuttering or fluency disorders across the lifespan. Adriana is passionate about sharing her knowledge, experience and expertise in these clinical areas through her teaching and research. She is currently enrolled in a PhD investigating the benefits of simulation-based learning to prepare students for clinical practice. Adriana has presented her research at national and international conferences primarily in the fields of student education, stuttering and simulation-based learning.